"Adult Contemporary Music In Japan" Blog international version! 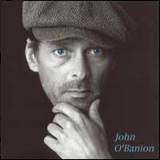 Sad news.... John O'Banion passed away on February 14, 2007 just before his 60th birthday. John O'Banion was born on February 16, 1947. He started his professional singer career in 1978. And it took more than 2 years before having huge success with US top 40 hit single "Love You Like I Never Loved Before" in 1981 cut from his self-title debut album. Then, John O'Banion won the grand prix at Tokyo Music Festival with his new song "I Don't Want To Lose Your Love" in the spring of 1982, which made him much popular here in Japan. WEA Japan would strongly hope that they should release his brand-new album soonest possible without waiting for the release of his 2nd album. Thus, a special album entitled "Close Up" comprising of 7 new studio recording tracks later included on his US 2nd album "Danger" plus 3 live tracks "Thru The Eyes Of Love", "Standing On The Edge" and "Caught" recorded only in Japan in April 1982. And several months later, his full studio recording album "Danger" was released internationally. In 1983, John O'Banion released another solo album "Satomi-Hakken-Den" only for Japan again, which is a kind of soundtrack conceptual album for Japanese motion picture. He was also known as a actor in the States. In 1990, John performed the main role for the movie entitled "The Judas Project". In 1995, John broke his long silence by releasing his brand-new solo album "Hearts". In 1999, John released 2 new songs, "When I'm Dreaming" and "Christmas Carol" for Japanese compilation album "When I'm Dreaming - after five collection". And those 2 are last official release of John O'Banion, as far as I know. Robert Lamm / Live - Leap Of Faith DVD will be available on Feb.10 LIVE - Leap of Faith DVDRobert Lamm of the band Chicago, many years Robert Lamm's 2004 appearance in New Zealand for a show supporting the New Zealand release of Roberts solo CD subtlety&#38;passion was recorded for worldwide release on CD and DVD later in 2006 and is entitled Leap of Faith Live in New Zealand. Noriyuki Makihara Songs From N.Y. Such A Lovely Pl&#65331;&#65365;&#65347;&#65352; &#65345; &#65324;&#65359;&#65366;&#65349;&#65356;&#65369; &#65328;&#65356;&#65345;&#65347;&#65349; / &#65318;&#65362;&#65345;&#65358;&#65355;&#65353;&#65349; &#65322;&#65359;&#65362;&#65348;&#65345;&#65358;04.
known as "Takeito", the webmaster of "Adult Contemporary Music in Japan"
On David Roberts' breaking the silence since 1982 with his new studio recording album soon! On Janey Clewer "Love", new special compilation album featuring 4 new recordings, also being released!